Back in October, I wrote a post called The Scariest Things About Motherhood that included things like labor and delivery, finances, and meltdowns. They were fears that are "universal" to moms and dads. 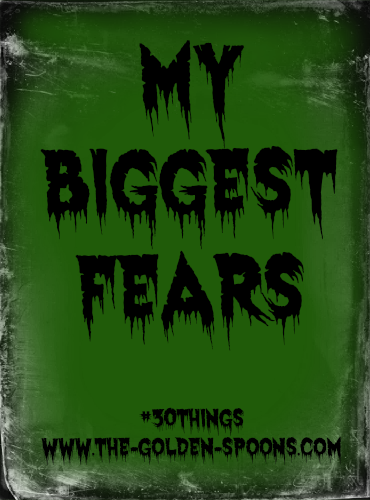 However, part of the #30Things Challenge is to focus more specifically on ourselves and list three of our own, legitimate fears. It's not a comfortable topic, but here are my three biggest fears. The first one I will share is my fear of water. It's ironic since we have a pool in our backyard, huh? The truth is, I can't swim. My parents couldn't swim and I never learned growing up. As an adult, my husband has tried to teach me, but my adult knowledge of the worst case scenario and the subsequent fear simply won't let me relax enough to learn. In fact, if you are drowning in our pool, you would have a better chance of being rescued by my eleven year old than by me. When we moved into this house, the pool was one of my biggest misgivings about it. Now, I am very glad we have it and I am MUCH more comfortable in the water than I used to be. I actually do go in the deep in as long as I have a noodle or some other floatation device, although it does make me nervous still. My husband and my three daughters are great swimmers. 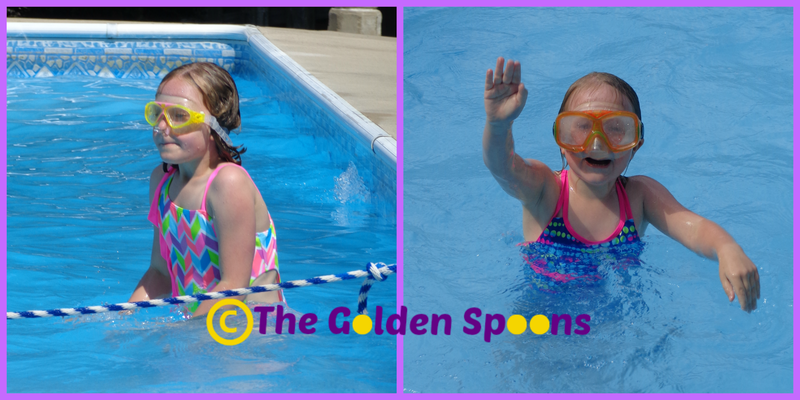 I am so glad my girls are have had the opportunity to become comfortable - and SAFE - in the water. Maybe someday, they'll teach me too. Two of my little fishes! My second big fear is heights. I have never liked them. When I am up on a high perch, I can feel my pulse get faster and my body tense up. I don't go near the edge. I don't even like climbing up on ladders or step stools, really. I have braved some heights for the sake of saying I've done it - like going up in the Eiffel Tower or crossing the Mile High Swinging Bridge at Grandfather Mountain. Every time, though, I require some coaxing, I hold on with white knuckles, and I breathe a huge sigh of relief when I return to solid ground. I have no idea why I have this fear of heights. 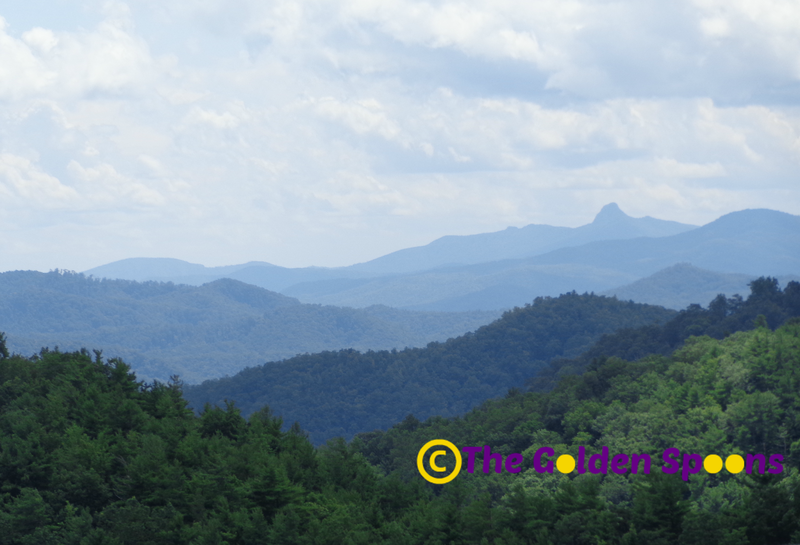 Grandfather Mountain is in the beautiful Blue Ridge Mountains of North Carolina where I grew up. Finally, the last fear I am going to share with you - fear of failure. Don't we all have this fear to some degree?? I think, however, being a grown up and a mom has made this fear bigger. When you are young, failure means failing a test or not making the team. Although it seems at the time like something so devastating, in the grand scheme of life it really isn't such a big deal. When you become an adult, though, with responsibilities and people who depend on you, failure becomes a much more significant problem. When you fail, you let down the people who trust in you the most; your co-workers, you spouse, your children. If you Google "quotes about failure," you will find plenty of quotes indicating that you are only failing if you are not trying or that failure is merely a stepping stone to success. You will also find, however, that Susan B. Anthony once said that "Failure is impossible" and that Gene Kranz is credited with saying, "Failure is not an option," referring to the rescue of Apollo 13. That's kind of how I feel. 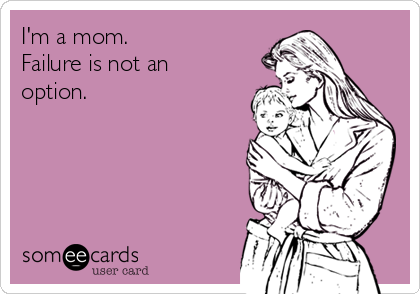 As a mom, I make small mistakes every day. I yell. I forget things. I let them watch too much television. Those are insignificant failures and these are not the failures that cause me to lose sleep at night. The scary ones are the big picture pitfalls - failing to raise them properly; failing to keep them safe; failing to show them how much they are loved. In those endeavors, failure simply is not an option. It lurks in the back of my mind like a wild cat waiting to pounce and I must not let it find me. Ever. What are you biggest fears? Have they changed as you've gotten older? Not a fan of heights either and will get this knot in the pit of my stomach when I have to be somewhere high off the ground. I do it still, but like I said do get a bit anxious from it. Same here! I don't remember having this fear as a child, but I guess, now, I can fully grasp the potential disaster. I usually manage to get through it, though. I definitely have a fear of failure. It's stopped me from doing many things, and I realize that, so it's something I'm working on overcoming. I try to remember what my Dad used to say, "It's better to try, then fail; than fail to try." I think I do have the fear of failure, but I think I have fear of success too. I'm afraid of solving everything I need to solve and doing everything I need to do, and then getting anxious, restless or bored. Which is weird because knowing me, I'd just paint new dreams and projects. I have a fear of loss of control which manifests in many ways throughout life - a phobia of tornados when I was little. Fears of earthquakes and loud noises. Fears of dizziness. Major vomiting phobia. I just wrote that out as if I were in a shrink's office! Worry not - these are things I've been working on for years. My three fears are here: http://tkander.blogspot.com/2014/05/my-fears.html They are snakes, dying, and disappointing the people whose opinions matter to me. HA! My oldest has some of those fears, too - weather, fire alarms. She freaks out and it worries me that, if ever presented with an actual emergency, she would freeze up and not respond. Can't say I have a fear of success because I can't imagine ever being bored. Perhaps a fear that what success looks like to me is not what it will actually turn out to be. I think the disappointing one is similar to my fear of failure. That's what it really boils down to - fear that me failing will cause disappoint for myself and people I love. Snakes have never bothered me, but I hate bugs! Yes! Exactly. If if you think you are doing it exactly right, you really never know until they are own their own and forced to make decisions for themselves. LOVE this- because I can relate to two out of three of them Lisa!! First of all - bless your heart about the swimming! I didn't even know you had a pool! That is just awesome that your girls can swim and your hubs...and you are learning to be more comfortable with it all yourself! That would be SO scary!! I am terrified of heights too... and as I age, it only gets worse. I remember years ago walking up the steps of a water slide with my nephew- and I FROZE midway. I don't believe I have ever had that kind of panic attack. It took me an hour to inch my way back down those stairs...shaking and panting. NEVER again. I LOVE all that you shared about it. Ya know what? I'm more afraid of failing others than myself. Much much more of that. This teen ministry is testing this fear... to great lengths. Yes- I'm much more afraid of failing others and disappointing them. I'm sure you are fabulous with the teen ministry. This fear is probably why i'm having such a hard time deciding whether to make this interim job permanent or not! Oh boy do I fear failure too. I always have. When I was younger, I was so afraid of failure that I wouldn't even try to do things if I didn't think I could be good at them. Gym class really sucked for me because they would make us all play volleyball or whatever and I was THE WORST at ALL SPORTS. What's different for me now though, as a parent, is that I don't want my kids to learn fear from me. I want them to be confident and try new things without fear of failure. So as I try not to let them see that in me, I think I'm letting go of it myself. If that makes any sense. Anyway, thanks for such an honest post. That does make sense and I think it's great that it is helping you let go of some of your fears, too. I totally get it and I agree that I don't want my kids to "catch" my fears either. Thanks for stopping by!